It’s not that I was afraid of this gentleman; it’s just we hadn’t been introduced properly and there he was sitting uncomfortably close without saying a word. It was Christmas Eve, we both knew what was about to go down, and while neither of us were really against the idea we weren’t exactly chomping at the bit either. I extended a friendly hand toward him as if to say “let’s put our differences aside and make an effort for the family, for Christmas.” Then I clenched my fist and doused him with a good squeeze of lemon juice. 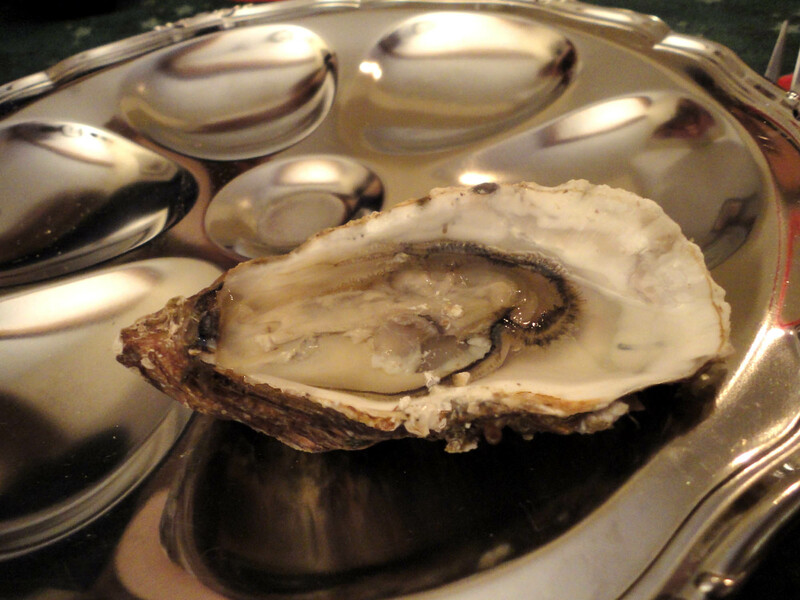 It’s an age-old conflict, the one between a man and his first oyster. But this had been the year of wing-spreading after all: my first glass of wine, my first Bastille Day, dropping my first successful F-bomb in the native tongue. Oysters are a Noël tradition here, so mustering up as much holiday spirit as I could I tipped that sucker back and proudly slurped my way further into Frenchness. Flavor-wise I’d liken it to that moment at the beach when you come up gasping for what you think will be oxygen but ends up being another two feet of wet saline above your head. It was pure NC-17 seafood pleasure and I enjoyed it enough to crack another one open, this time with a splash of vinegar. That wasn’t the only giant leap for mankind at the holiday table — right on the heels of les huitres came my first encounter with the king of Euro-scariness: l’escargot. Again, with all twelve of the family’s eyeballs on me I wasn’t about to back down. Honestly I think the French penchant for herbed butter and garlic really help the snail experience, and that small tender piece of meat went down without a hitch. Besides the mollusk-fest, other traditional plates included smoked salmon and foie gras on toast (which is really growing on me). After finishing all that we then moved to the tree to lay out all the gifts, which turned out to be a fake-out, a mere intermission – fifteen minutes later we were back at the table for another two courses. Three and a half hours was our holiday dinner, and that’s not counting the champagne and hors d’œuvres we started off with on the sofa. But the crazy thing is we didn’t really eat a lot of food. It was slow and steady just like you’d expect a European Christmas to be. I noticed a curious phenomenon this time around: during other moments of the evening tempers occasionally flared and family squabbles popped up, but once it was time to dine everyone instantly mellowed out and kicked it into cordial mode. We always hear about their respect for meals here, and I was witnessing firsthand the psychological power of dinnertime in France. 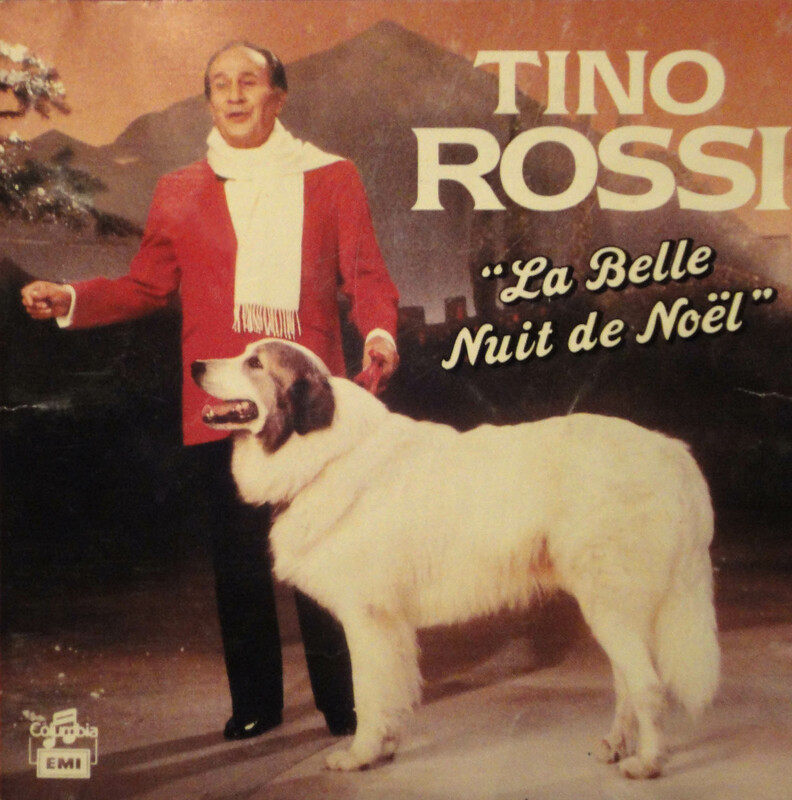 It didn’t hurt either to have the smooth sounds of Tino, the pride of old-school French Christmas carols, setting the mood. Eat your heart out Neil Diamond. As usual the conversation turned toward me whenever the group reached a topic on which I should be educated, and I absorbed all the various lessons that shot my way like how the best foie gras comes from the southwest, how the sweet wine from Alsace complements salty foods, and how to know when the best oysters are in season (hint: any French month with an “r” in its name). The table perked up surprisingly at mention of the British royal family, and I thought about how such a subject in the US would barely be newsworthy. I assume their interest in the matter must be linked to three things: geographical proximity, their own rich history of kings and queens, and the fact that it was a Paris street where Lady Di met her fate. The gift exchange at the end of the night went more or less like ours does, with one noticeable difference. 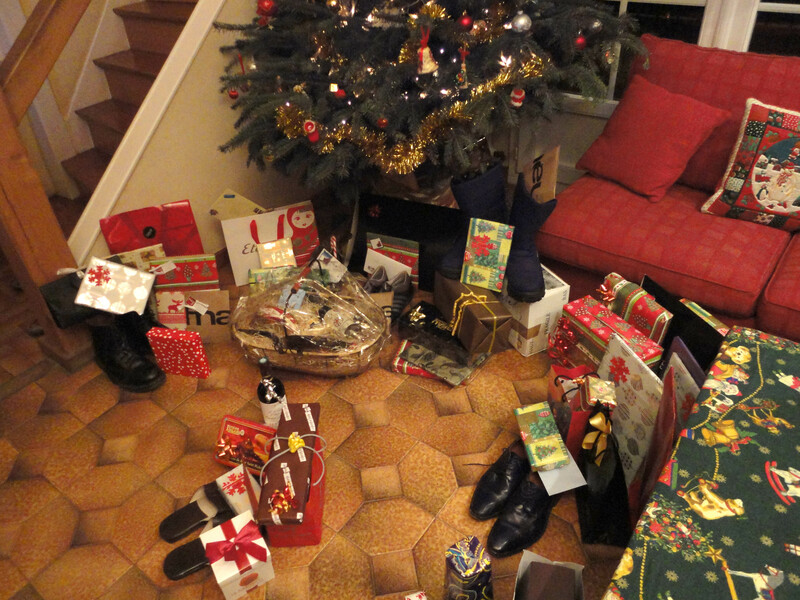 Before leaving home earlier that night Charlotte instructed me to bring an extra pair of shoes for the tree, which is where your pile of gifts is placed. It’s a tradition that goes back at least a few generations in the family. It was a charming variation that made me feel a bit connected to those stories we always heard about the Dutch putting treats inside wooden clogs. In fact I might start working on a set of clogs for next year’s bash. Either that or a red smoking jacket/dog ensemble. I cannot help but laugh at some of your experiences. I’m from Florida and have NEVER eaten an oyster and I lived in Italy but I’ve never eaten snails. I did pick them for my neighbor, though…without knowing it. Eeek. Wonderful post, this was really interesting!